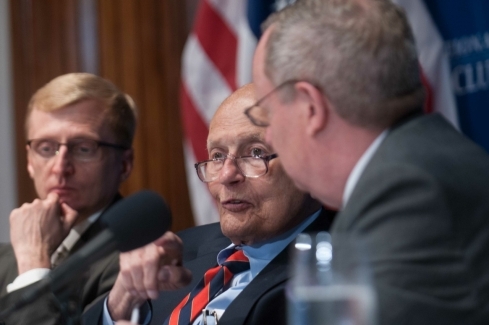 Representative John Dingell (R-MI) discusses his 58 year career in Congress at a National Press Club Luncheon, June 27, 2014. 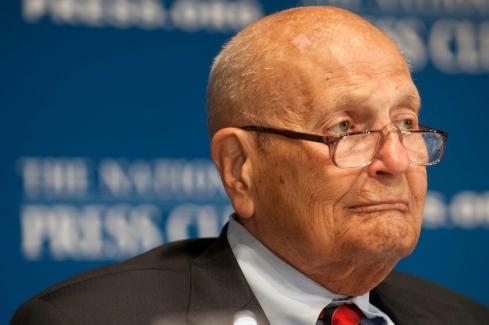 Representative John Dingell (R-MI) discusses his 58 year career in Congress at a National Press Club Luncheon, June 27, 2014. 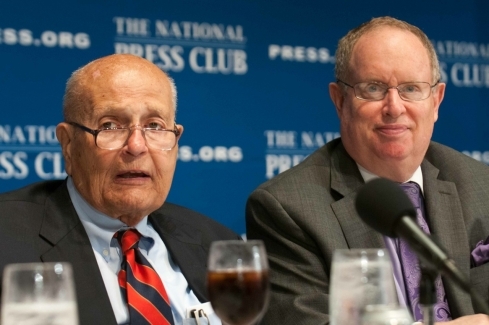 Press Club President Myron Belkind (right) moderated the luncheon. 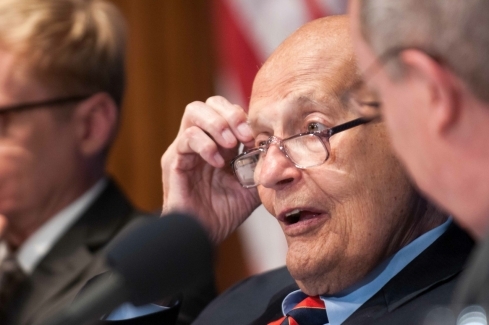 Representative John Dingell (R-MI) discusses his 58 year career in Congress at a National Press Club Luncheon, June 27, 2014. Also pictured (l-r) are Consuela Washington - retired House Energy and Commerce Committee counsel who handled SEC and financial matters; Angela Greiling Keane - A Bloomberg News White House Correspondent, 2013 National Press Club president and member of the Speakers Committee who organized the luncheon; Jerry Zremski, Buffalo News and Chairman, NPC Speakers Committee and current NPC President Myron Belkind. 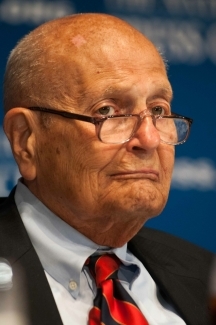 Representative John Dingell (R-MI) discusses his 58 year career in Congress at a National Press Club Luncheon, June 27, 2014. Also pictured are Jerry Zremski (right), Buffalo News and Chairman, NPC Speakers Committee and Myron Belkind current Press Club president. 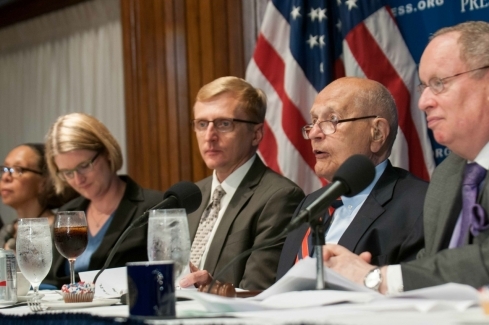 Representative John Dingell (R-MI) discusses his 58 year career in Congress at a National Press Club Luncheon, June 27, 2014. 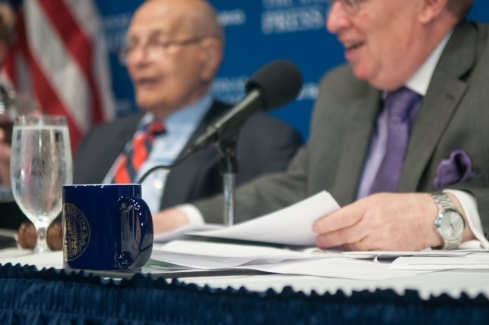 The congressman received his seventh National Press Club coffee mug to mark his latest engagement.